Our emotions can seem to come out of nowhere and flow over us so quickly that we can be overwhelmed by them. They engulf our entire being, causing us to almost feel like we are swimming in a sticky mess we can't seem to get out of. They are talking to us and asking us to listen. Perhaps one of the women in this book will speak your language and invite you to join her on a journey of self-discovery. Over time, I have discovered how common the human experience of emotional chatter truly is. It is my hope that between the pages of this book, you find some of your own feelings and experiences described and captured in an image. We are more alike than we are different, and in that, I find great comfort. I hope you will too. 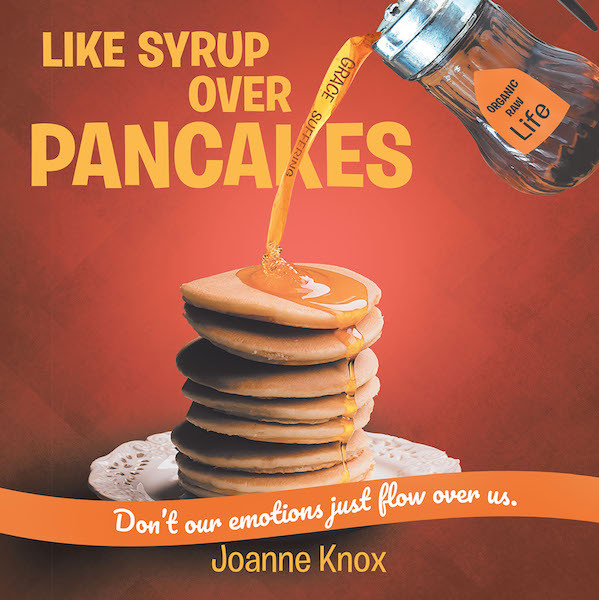 So Like Syrup Over Pancakes is a word picture of how our emotions flow over us. Since this book is intended to be interactive, inviting you to add to the volume your own art and words, blank pages at the end of the book are provided with that invitation in mind. I hope you will accept.